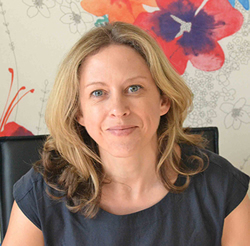 Alison Durant graduated with a first class Honours degree in osteopathy in 2001 and has since worked in a variety of osteopathic practices and gyms, before establishing her own osteopathic practice in Kensal Rise, West London and more recently founding Golborne Osteopaths. She recently completed a ten month postgraduate training course with Gary Gray and Dr David Tiberio at the Gray Institute in the US – the foremost teaching institution for functional biomechanics – becoming a Fellow of Applied Functional Science. In addition to practising as an osteopath, Alison coordinates and teaches practical osteopathic skills at the British School of Osteopathy. Alison is passionate about educating her students and patients alike about functional biomechanics, and providing patients with practical home exercise programmes to improve their function.